At Trevelino/Keller we work with a variety of franchise clients from industry stalwarts to those just beginning their franchise journey. While public relations is the bread and butter of services we provide, many of the smaller franchises, as well as large franchises starting off in small towns, need help well beyond the PR scope of work. There are many ways to help a franchise succeed beyond traditional PR, including guerilla marketing, community relations and digital marketing. In recent months, we’ve helped a hyper local franchise drive traffic to specific stores by implementing a guerilla marketing strategy. Our focus included apartment complexes, HOAs, gyms and churches focused on dropping off food for events or gatherings, passing out free food coupons and introducing these residents to the brand. Community relations is a great way to build rapport with residents in a few mile radius of a specific location and drive traffic to the location. From partnering with local schools to host spirit nights with a donation to the school based on sales that night, to sponsoring children’s sports teams and conducting food drops at the game, integrating your business with the local community is a sure fire way to create longevity in the market. These types of community relations initiatives don’t just reach those you are directly targeting, but also allow for word of mouth. It’s important to remember that 84% of consumers say they either completely or somewhat trust recommendations from family, colleagues, and friends. Last, and most certainly not least, in this discussion is digital marketing. We know that driving customers into the store, at this very moment, is of the utmost importance in most cases. A social marketing strategy is designed to build both brand awareness as well as power real sales on a local level. 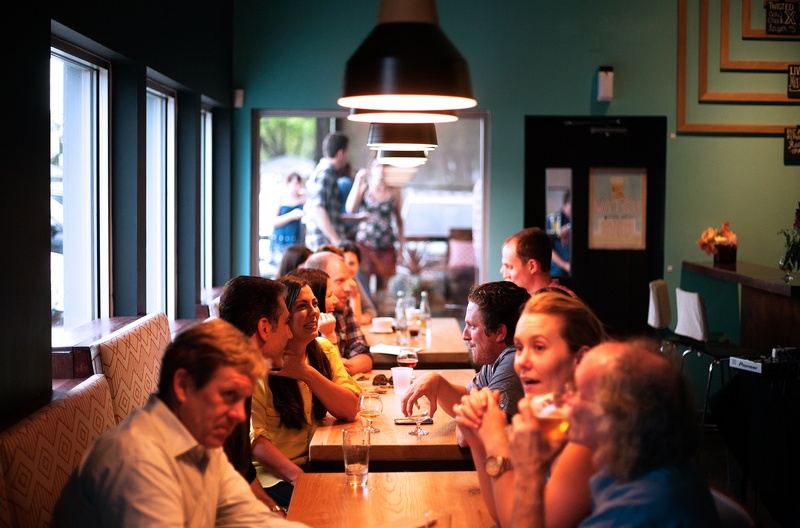 A strategic social media marketing strategy is a cost-effective way to reach a defined audience of potential diners living or working within a few-mile geographic radius of a location. These campaigns can be built to increase awareness, drive clicks to the landing page/website or be built as offer campaigns, giving people some type of incentive to dine at the franchise.